NEW! Monitor your Password Health in our new Identity Dashboard. Get a complete picture of your online security in one convenient place, so you can understand what to improve and take action fast. NEW! 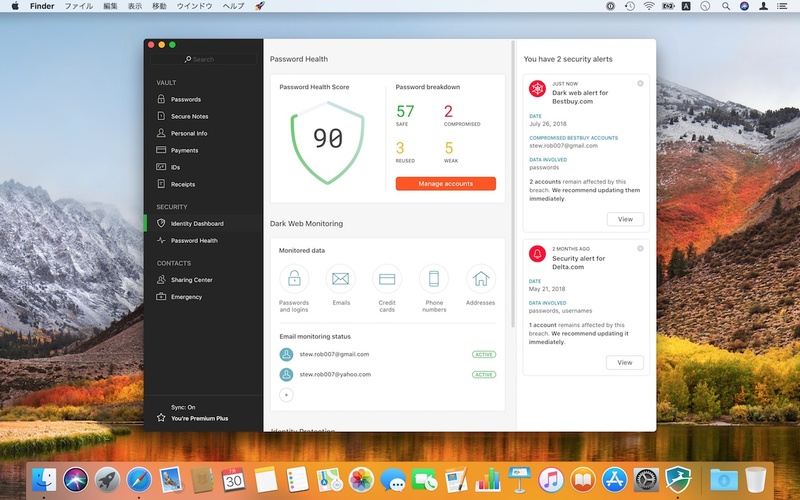 Dark Web Monitoring: Dashlane scans the web for any leaked personal data and sends alerts, so you can take immediate action to protect your accounts. NEW! VPN for WiFi protection: Dashlane encrypts your online activity on unsecure WiFi networks to always keep your personal information safe and private. NEW! Secure Document Storage: Encrypt and store sensitive documents and files in Dashlane to access them anywhere.